The National Future of Education Technology Conference (FETC) has announced a series of highlights that will make the 2019 event the most exciting and valuable edtech experience available to educators. In 2018, more than 10,000 education and technology leaders took part in industry-leading edtech professional development, exploration of proven best practices and discovery of innovative new technologies, and the 2019 conference will have even more to offer. 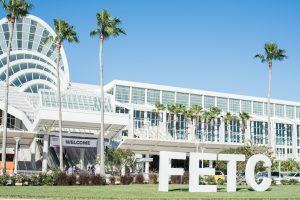 FETC 2019 will take place from January 27-30 at the Orange County Convention Center in Orlando, Fla.
New Schedule to Support Educators – FETC 2019 will start on a Sunday, giving educators the opportunity to participate in a full day of workshops without time away from students or staff, and without districts incurring the cost of a substitute. Mega Sessions – These 40-minute sessions feature FETC’s most popular speakers and focus on the timeliest topics in edtech, including strategies for amplifying student voice through multimedia, personalizing instruction and creating a brain-friendly environment, and unleashing innovation. Sessions will be held in the general session hall to enable a greater number of educators and educator teams to attend. Premier Media Partnership with District Administration – FETC’s partnership with District Administration will meet the needs of the edtech community by delivering high-quality content for K-12 leaders, increasing the conference’s targeted leadership sessions and workshops, and providing a rich assortment of compelling, accessible, and personalized premier events and resources. 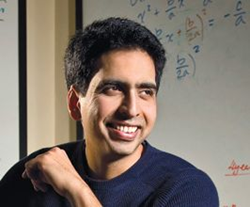 Sal Khan – On Monday, January 28, the Opening Keynote, “The One-World Schoolhouse―Education Reimagined,” will be presented the founder and CEO of Khan Academy, a nonprofit with a mission of providing a free, world-class education for anyone, anywhere. Khan will share his thoughts on the future of education and how you can join his movement to revolutionize the future of teaching and learning. TechSHARE LIVE! – Back by popular demand, this fast-paced attendee favorite provides a first look at the latest, most exciting gadgets, apps, hardware and software through the eyes of educational technology’s leading experts: Adam Bellow, Hall Davidson, Leslie Fisher and Kathy Schrock. Dr. Mae Jemison – On Wednesday, January 30, conference attendees will have the opportunity to hear the STEM Keynote, “Pursuing the Extraordinary,” from Dr. Jemison, the audacious and pioneering polymath at the forefront of integrating the physical and social sciences with art and culture to solve problems and foster innovation. The Blueprint for Technology in Education Summit – Led by international edtech consultant Dr. Matt Harris, this full-day summit will take place on Sunday from 8 a.m. – 6 p.m. The Blueprint summit will feature six distinct sessions that give participants a chance to experience the global edtech community through the eyes of international education leaders who will challenge educators to rethink the logistics of the global classroom and modern learning environments. Education Analyst Sessions – In these interactive panel discussions, leading analysts in the education industry will deliver unique insights and actionable advice for overcoming major technology challenges and implementing edtech plans that work. Attendees will have the opportunity to attend 11 different panels on January 29 and 30 covering essential topics such as ensuring student data privacy and security, building a district-wide edtech ecosystem, improving the technology procurement process, enhancing equitable access and more. Expanded Future of EdTech Inclusion & Special Education Track – This expanded content track will provide attendees with best practices for matching technology to students’ needs and successful strategies for using technology to accommodate students in the classroom. Educators will explore the latest application of assistive and instructional technologies to meet the needs of K-12 students with disabilities in all settings, including Universal Design for Learning tools that can help differentiate instruction and increase academic achievement. Administrator and Information Technology Tracks – FETC’s dedicated Administrator and IT content tracks make it the only edtech event with sessions and workshops designed specifically for CAOs, Superintendents, CTOs, CIOs and IT Directors. Startup Pavilion – Emerging companies in edtech can apply to demo their original products in this special section of the FETC Expo and conference attendees will have a chance to meet the entrepreneurs who are revolutionizing the market. Startups can also apply by October 26 to participate in the FETC Pitchfest, where they will have the chance to present to educators, analysts and investors, and compete for other prizes and opportunities. Game-Based Learning Pavilion and Early Learning Pavilion – In each of these pavilions, educators will get hands-on opportunities to experience the latest tools and digital applications and hear 40-minute talks on how to leverage them to enhance learning. STEM Theater Presentations – STEM experts and educators from the 2019 FETC STEM Excellence Award finalist schools will share 30-minute presentations on the best tools and techniques to inspire students. Hands-On Technology Lab and Learning Labs – In the Hands-On Technology Lab, educators and leaders will get to see, touch and become familiar with the latest software, gadgets and hand-held technologies for preK-12 settings. The Learning Labs will have 40-minute expert-led sessions showcasing innovative products and technology for advancing student achievement and improving process management. 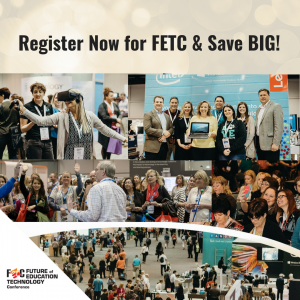 The Future of Education Technology Conference (FETC) annually attracts thousands of education and technology leaders for an intensive, highly collaborative exploration of new technologies, best practices and pressing issues. With basic to advanced sessions tailored to the needs of each role in the digital transformation, FETC is known as one of the nation’s premier preK-12 education technology events. FETC provides school and district administrators, classroom teachers, IT professionals, special education directors, curriculum and media specialists, and other educators with roles or interest in ed tech, the opportunity to explore the most effective integration of technology across the curriculum. 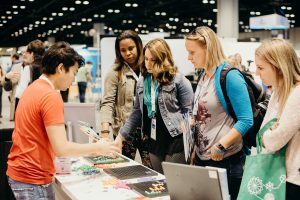 FETC offers a balanced blend of administrative, instructional and technical content through targeted sessions, intensive workshops, hands-on demonstrations of the newest products, and more. Visit http://www.fetc.org for more details.